Jeremy Null has been named the Southern Conference Pitcher of the Week, for all games March 24-30. Null earned his second weekly pitching honor of the season after holding Wofford scoreless over seven innings on Friday. He allowed just five hits and one walk, striking out eight to improve to 3-1 on the year. The junior from Claremont, N.C. faced just two batters over the minimum through his first five innings and ran into trouble just once, pitching out of a bases-loaded, one-out jam in the sixth. Null's eight strikeouts on the day pushed his career total to 224, good for 10th in program history. Strong and Attaway's batting gloves in from Western Carolina's two-cycle game on Mar 2! Western Carolina’s Tayla Carter was selected as the Southern Conference Women’s Outdoor Track Athlete of the Week for the second time in her career as a Catamount. Carter won the 100-meter at the 49er Classic with a time of 11.58, also clocking the second-fastest time in the meet in the 200-meter at 24.08. Both of these performances top the SoCon list this season. Carter ran the second leg of the 4x100-meter relay, helping her team finish with a SoCon-leading time of 46.42. She also anchored WCU’s SoCon-leading 4x400-meter relay team with a 54.1 split, as her team finished with a time of 3:40.33. 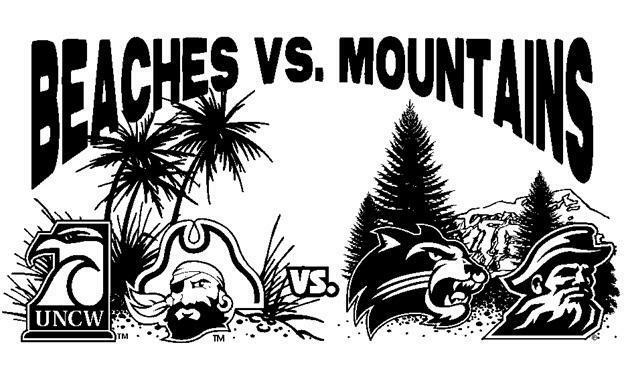 The UNCW Seahawks host this year's Beaches vs. Mountains meet on March 29. Joining UNCW is East Carolina vs. Western Carolina & Appalachian State. Johnson City, TN (March 25, 2014) – Due to inclement weather in the Tri-Cities area, Tuesday’s Western Carolina/ETSU baseball game at Thomas Stadium has been cancelled by officials at ETSU. Western Carolina’s Kara Salvo has been named the Southern Conference and College Sport Madness Softball Player of the Week. Salvo was selected by both organizations as Softball Player of the Week after hitting .632 in five games for the Catamounts last week. She recorded at least one hit in all five contests, posting four multi-hit performances. Salvo started with a 2-for-4 day against ETSU in the first game of a doubleheader on Wednesday and went 3-for-4 with two RBIs in the second game. She added a hit in the opening game of a three game series against Appalachian State on Saturday before going 3-for-4 with a solo home run and notching three RBIs in a 5-0 Catamount win in game two. She concluded the weekend with three hits and another RBI in the final game of the series. Her week ended with 12 hits in 19 at-bats, with six RBIs and five runs scored. WCU's Kristin Swindell won the individual championship in the Low Country Intercollegiate, while the Catamounts finished second as a team. Swindell was the 18-hole leader with a 3-over 75 on Sunday, and finished the tournament with a final-round 4-over 76 for a winning total of 7-over 151. She defeated teammate Kim Mitchell by two strokes (+9). In team play, the Catamounts finished in second place at 55-over 631. Gardner-Webb took third (+67), followed by Bethune-Cookman (+71) and Wofford. Moss Creek Golf Club, South Course – Hilton Head, S.C.
On Tuesday, March 25, the Catamounts visit Johnson City for the first time since the announcement of the return of East Tennessee State to the Southern Conference. The Cats and Bucs will play the away portion of a home and home series with the Bucs started last week in Cullowhee..
ETSU (11-12) took two of three from Stetson this past weekend in the opening of Atlantic Sun Conference play at Thomas Stadium. As a team, the Bucs hit .274 for the series and held the Hatters to a .238 clip, while ETSU pitchers struck out 18 hitters and walked five. The Cats leads the all-time series against the Bucs, 62-29, but ETSU defeated the Cats last week in Cullowhee to snap the Catamounts’ 21-game home winning streak, which was the longest in the nation and ended the Bucs eight-game losing streak to the Catamounts. The Catamounts rank 13th nationally in home runs (19), 25th in batting average (.303) and 43rd in hits (237), while infielder Aaron Attaway is the active national career leader in runs scored (165) and tied for second in hits (255). There will be live streaming video on A-Sun TV (free) and live stats from ETSU, as well as, live radio coverage by the Catamount Sports Network and stretch internet. The Catamounts outlasted Elon claiming their eighth Southern Conference series in a row Sunday Phoenix. The Catamounts capitalized on Elon's error-error filled defense to claim the rubber match finale. Senior Jordan Smith earned the victory. He tossed the first two innings prior to the rain stoppage, and returned after the three hour delay to pitch the next four innings, holding Elon to two runs, striking out six. Tyler Powell picked up his third save, securing the final out in the eighth inning then striking out the side in the ninth inning. The Cats return to action on Tuesday in Johnson City, TN., against East Tennessee State for the second game of the home and home mid week series. First pitch against the Bucs is scheduled for 7:00 pm. The Catamounts travel to Burlington, NC to open conference play with a three game series against the Elon Phoenix for the final time at Latham Park. Western Carolina and Elon have met 74 times on the baseball diamond, with Elon leading the all-time series 47-27. The two first met in a 5-4 Elon victory in 1939. In 2011, the teams played the longest-ever game in the SoCon Tournament – a 20-inning affair won 10-7 by the Catamounts. The Phoenix come into this weekend's series with a 13-7 overall record and are 2-1 in conference play, having won their series against Georgia Southern, 2-1. The Phoenix own a 9-4 home record this season. Cullowhee, N.C. (March 19, 2014) – The ETSU baseball team used a good time to break out its bats. The Buccaneers got home runs from Tyler Roach (Knoxville, Tenn.), Matt Sorrow (Griffin, Ga.) and Clinton Freeman (Jonesborough, Tenn.), and ETSU snapped Western Carolina’s 21-game home win streak as the Blue and Gold defeated the Catamounts, 12-9, on Wednesday night at Hennon Stadium. Roach and Sorrow both fueled a four-run third with solo shots to left, while Freeman capped off a four-run fourth with a two-run homer to left-center as the Bucs eventually built a seven-run lead after five-and-a-half innings of play. However, Western Carolina pulled within a run by plating six runs in the bottom of the sixth, but ETSU maintained its composure and Freeman closed things out by retiring six of the final eight Catamount hitters to earn his third save of the year. As a team, the Bucs tied a season high with 14 hits, while the 12 runs scored were the most by the Blue and Gold this season. Along with ending Western Carolina’s 21-game home win streak (the nation’s longest), ETSU also snapped a pair of losing skids of its own. Tonight’s win marked the Bucs’ first victory over Western Carolina since May 16, 2006, while it was ETSU’s first win in Cullowhee since April 9, 2005. The Catamounts opened spring practice on Tuesday with the first day of two helmet-only practices, of the 15 practice dates allowed this spring. "Man, I had fun today," said Catamount head coach Mark Speir following Tuesday's practice session. "I've been in that office with all of the snow and rain - but today was a beautiful day to get out and start this 2014 season." "A lot of hard work has already been done over the past eight weeks with coach (Evan) Barr in the weight room. Our guys all got bigger and stronger. I just commend Coach Barr and his staff for what they've done leading up to this point. But, I thought our guys came out and were sharp; they bounced around, had high energy and we really got a lot done today," said Speir. 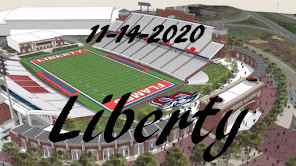 "Our big focus is to come out of this spring a disciplined, relentless, and classy football team," Speir said "A big goal that we are working on is having no pre-snap breakdowns. That's something we're going to harp on for 15 practice days. We're going to stress knowing what to do, how to do it, and then do it with a great sense of urgency." "A lot of our freshmen came right out of high school and they just started playing ball. We're taking the time - and not just assuming since they have played a year - to make sure they're ready to go," added Speir. "We've started back at ground zero with fundamentals and technique, and being sure we know how, when and where to do things." We're talking a lot about not being an outcome-oriented football team, but about it being a process. And how you win a job is that process of the fundamentals of doing the little things right. We've got a bunch a good athletes out here and it's our jobs as coaches to get them going in the right direction - doing the little things right and doing it consistently." On Wednesday, March 19, future Southern Conference member East Tennessee State visits Cullowhee for the first game of a scheduled home and home series this season between the Catamounts and Buccaneers. There will be live streaming video on Catamount All-Access (fee) and GameTracker for live stats, and there is now radio coverage listed by the Catamount Sports Network and stretch internet. East Tennessee State, currently of the Atlantic Sun Conference is 41- 81 all-time against teams in the Atlantic Sun Conference,and leads the all-time series with ETSU, 59-28, including winning seven-straight meetings as well as, seven-straight over ETSU in Cullowhee dating back to 2005. The Cats extended their home winning streak to a nation-leading 21-straight with last weekend's sweep of Rider. The Cats are 8-0 at home this season. The previous WCU school-record for consecutive home wins since moving to Hennon Stadium in 1978 is 15 straight from April 15, 2001 until March 16, 2002. Jamin McCann will go to the hill for ETSU, he is 1-1 with a 3.00 ERA (4 ER/12.0 IP) in four appearances (two starts) for the Bucs in his freshman season. Senior catcher Adam Martin has been named the Southern Conference player a of the week, for all games March 10-16. Martin hit .421 and slugged 1.053 in five games last week, scoring nine runs and driving in 14. He hit three home runs, a double and a triple in addition to drawing four walks (two intentional) and hitting a pair of sacrifice flies. Martin had an on-base percentage of .500 for the week. The senior from Marietta, Ga., opened his week by reaching base twice at Georgia Tech on Tuesday, driving in a run with a sac fly in WCU’s four-run first inning. Martin was 1-for-5 with a double, a run and an RBI fielder’s choice the next day at Kennesaw State before breaking out against Rider over the weekend. In the Catamounts’ three-game sweep of the Broncs, Martin was 7-for-12 with 12 of his RBIs on the week. He opened the series with a 2-for-4 showing on Friday, hitting a two-run triple in the first inning and adding a single in the ninth. He scored both times. In Saturday’s doubleheader, Martin fell one RBI short of the school record with eight in WCU’s game-one win, hitting a two-run homer and a grand slam to go with a sac fly and a bases-loaded walk. He scored four times in the contest. In game two, Martin was 3-for-4 with another home run, driving in two runs and scoring one in the contest. He was walked three times in the doubleheader, twice intentionally. The Catamounts swept the Rider Broncs in a three game series over the weekend in Cullowhee. Taking the double header Saturday in a commanding fashion, Western Carolina's offensive explosion was led by senior Adam Martin who finished 5-for-8 with three home runs including a grand slam, driving home 10 runs in the twin bill, eight in game one alone - just one shy of matching the school single-game record. Martin finished with a .625 batting average and a 1.750 slugging percentage in the win. He also walked three times, twice intentionally put on base with the free pass, and drove in a run on a sacrifice fly. In addition to Martin's three round-trippers, juniors Jacob Hoyle and Dale Urquhart Jr. both hit home runs. A third junior, Bradley Strong, collected three extra base hits in a 6-for-10 performance on Saturday, legging out a school-record tying two doubles in the opener and adding a double with three RBI. All told, 10 different Catamounts recorded an RBI between the two games on Saturday with seven tallying three-or-more. Western Carolina concludes its current four-game home stand by hosting former - and future - SoCon foe, East Tennessee State, on Wednesday, March 19 in the front-end of a home-and-home. First pitch at Childress Field / Hennon Stadium is scheduled for 5:00 pm. The Catamounts welcome the Rider University Broncs to Cullowhee and Hennon Stadium for a three game weekend series, with the intent of keeping their home winning streak intact. The Rider Broncs are out of the Metro Atlantic Athletic Conference (MAAC), and come into this weekend series with a 3-9 overall record, having lost 8 of their last nine games. The Broncs are currently on a three game losing streak, while the Catamounts are coming off a disastrous road swing through Georgia, where the Cats dropped 5 games, dropping their overall record to 8-7. The Cats are 5-0 this season at home, 3-4 on the road and 0-3 at neutral sites. Friday's first pitch is scheduled for 4 pm, and can be heard on the Catamount Sports Network and can be viewed on Catamount All-Access. Sophomore Jared Johnson was honored with the Indoor Field Athlete of the Month by the Southern Conference. Johnson won a pair of individual titles at the SoCon Indoor Track and Field Championship, claiming the shot put with a season-best throw of 15.51 meters and the weight throw with a toss of 18.18m, shattering his previous career best of 16.85m. Johnson was named the meet's most outstanding field performer for his efforts. J.T. Poston and Kristin Swindell were named the male and female "SoCon Golfer of the Week" for competition from March 5-11, 2014. The weekly honor is the first in the career for Poston and the first for a Catamount men's golfer since Tanner Briele claimed the weekly honors in March of 2009. Poston tied for fifth at Auburn's Tiger Invitational on Monday and Tuesday, firing a 211 over the three rounds at the Grand National Lake Course in Opelika, Ala. The 15-team, 81-golfer field featured three top-50 teams in No. 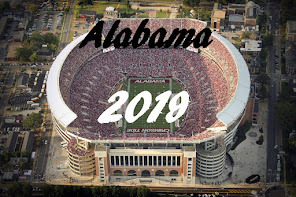 28 Auburn, No. 42 Kennesaw State and No. 38 Memphis. The honor is the also the first for Swindell who transferred to WCU from Florida Gulf Coast prior to the fall of 2013. The weekly award is the first for a Catamount women's golfer since Sofie Kvarnstrom received recognition in April of 2012. Swindell posted a runner-up finish at the UNF Intercollegiate on Monday and Tuesday, firing a two-day total of 226 to pace the Catamounts to the team victory. WCU led wire-to-wire, turning in a team score of 919 to finish 11 strokes clear of runner-up Daytona State. The Western Carolina Women's Tennis Team claimed the team title in the inaugural 2014 UNF Intercollegiate, held at the par-72, 6,144-yard Jacksonville Golf and Country Club this past weekend. This is the second win this season for the Catamounts, and the sixth, top 10 and fifth top five finish of the year for the Cats. Western Carolina led the tournament from the start, finishing 11 strokes ahead of Daytona State, 919-to-930. The tournament host, North Florida, finished third, 14 strokes off the pace at 933. Eastern Kentucky (941) and Old Dominion (944) completes the top five finishers. One other Southern Conference school participated in the 14 team tournament, besides WCU's first place team finish, Appalachian State finished 14th at 1014 (+151 to par). In the Southern Conference tournament championship game to be played on Monday night in Asheville, the two teams playing arrived at the championship matchup traveling two very different paths, and facing very dissimilar opponents. Wofford's path to the SoCon tournament championship game: in the quarterfinal on Saturday, they faced last place The Citadel, in the semifinal Sunday, they faced number 7 seed Georgia Southern. Western Carolina's path to the championship game: in the quarterfinal the Cats faced preseason favorite and number 4 seed Elon, then in the semifinals, it was the regular season champions and overall number 1 seed Davidson that stood between the Catamounts and Monday night's game. The number three seed Wofford Terriers easily handled their opponents, winning over The Citadel by 17 points, and by 14 points over Georgia Southern, while the Catamount faced much stiffer competition with the final outcome in doubt until the final seconds of each game. How much of a factor will the quality of the competition the two teams faced to arrive at the championship contest be in tonight final game? It can be assumed that the Terriers will be more rested than the emotionally drained Catamounts that are coming off an over time game with Davidson. Will the Catamount seniors not be denied the championship and trip to the NCAA basketball tournament they've chased for the last four years? Make your way to the U.S. Cellular Center tonight to find out which path led to the Southern Conference Tournament Championship. Let's color Asheville purple & gold. Western Carolina redshirt senior Trey Sumler sank a pair of free-throws with three seconds on the clock in overtime as the Catamounts stunned the number one seed Davidson Wildcats by a final score of 99-97 in the Southern Conference Tournament semifinals. James Sinclair scored a game-high 26 points, Brandon Boggs added 21 in the victory. Sumler put up 25 points and seven assists as the Catamounts advance to Monday's title game in the U.S. Cellular Center. The Wildcats shot 58% from the floor, including 5-of-11 from three-point range in the first half to take a 44-34 lead at halftime. Davidson extended their lead to 15 point early lead in the second half, before Western Carolina put on a 28-12 run, putting the Cats ahead 66-65. The remainder of the game was tightly contested, ending in a 86-86 tie in regulation. With the game tied at 97-97 in the final seconds of overtime, Sumler was fouled by Jack Gibbs. After Sumler sank the two free-throws, and with only 3 seconds remaining, Davidson did not have time to extend the game. The Catamounts wanted this match-up since the start of the tournament, to avenge the double overtime loss to the Wildcats in the SoCon tournament years ago. Purple & Gold congratulates the Catamounts on this tremendous victory. The State University of New York - Buffalo Bulls of the Mid-America Conference (MAC) comes into Saturday's game with a 6-2 record overall. This will be the first meeting all time between Buffalo and Western Carolina. The Bulls were picked to finish third in the MAC East and sixth overall in the preseason coaches poll. Last weekend, the Bulls went 3-1 at the VMI tournament, beating Maryland-Eastern Shore twice and splitting with the host Keydets. The Bulls' pitching staff has a 1.71 earned run average through seven games, which ranks eighth among the 291 Division I baseball teams, however, the Bulls lost to Georgia in their first game of this tournament, final score, Buffalo 10 - Georgia 11. Start time on Saturday is 5 pm, and fans can follow the action on GameTracker. So, who says you cant beat someone three times in a season? Led by Justin Taylor's game high of of 21 points off the bench, the Catamounts rolled over the UNCG Spartans by 17 points in the first round of the Southern Conference Basketball Tournament at the Kimmel Arena in Asheville. Rena Wakama added twelve points to the 77-60 final score. The Cats were 10 of 19 from three point range (53%) and just one three pointer shy of the school single game three point record. The hot shooting Cats hit 28 of 54 field goal attempts (52%), while holding the Spartans to 34% in field goal shooting. On Saturday, the Cats will meet the #2 seed Furman Paladins at approximately 4:30 pm. The Paladins are 18-11 overall this season, and 12-6 in conference play this season, are are on a 5 game win streak. The Cats come into this game with a 1-1 record against the Paladins, losing 69-76 on the road in Traveler's Rest, and winning back on Feb 1st by a final score of 65-54. You can listen to the game on the Catamount Sports Network and watch on SoCon TV game time is scheduled for 4:30 pm. Senior catcher Adam Martin is listed on the initial watch list for the 2014 Johnny Bench Award presented by BaseballSavings.com and the Greater Wichita Area Sports Commission. It is the second-consecutive season Martin has been selected for the watch list. The Johnny Bench Award is awarded to the top NCAA Division I collegiate catcher. Martin is one of 72 college catchers on the initial watch list and one of only two from the Southern Conference. Martin is joined by Georgia Southern junior Chase Griffin. Martin currently leads the Cats with a .395 batting average and paces WCU with two home runs among his team-high tying 15 base hits. He enters this weekend's tournament on a three-game hitting streak with a trio of multi-hit games, recording nine hits combined with nine RBI. Martin matched his career-high with four base hits in WCU's home win over No. 15 Clemson. Martin is a career .294 hitter with 148 career base hits including 29 doubles, three triples and 22 career home runs. Including a dozen RBI this season, the Marietta, Ga., native has driven in 105 career runs. The right-handed slugger was won two summer league home run derbies including the long-ball competition at the Northwoods League All-Star game. Martin was dubbed the top prospect out of the Northwoods League last summer. 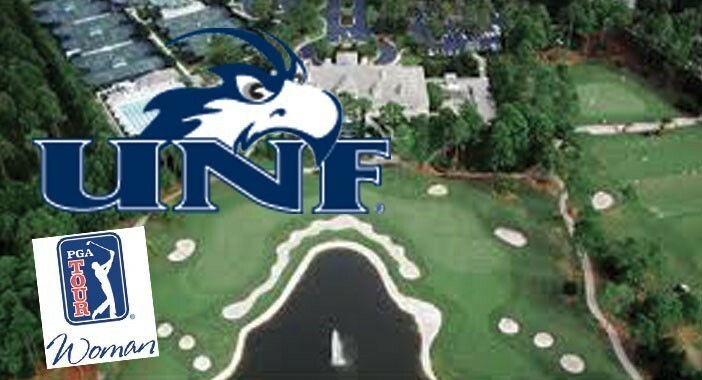 The University of North Florida Ospreys are members of the Atlantic Sun Conference. The Ospreys are coming off a 40-19 season and posted an 18-9 mark in the A-Sun in 2013. For the 2014 season, the Ospreys were picked to finish second in this year's preseason coaches poll, and sophomore outfielder Donnie Dewees and senior pitcher Tyler Moore were selected for the Preseason All-Conference team. The Ospreys are currently 4-6 overall, and are coming off a weekend sweep by the UNC Tarheels. Despite their six losses this season, the Ospreys have out-hit opponents 98-94. In six of the 10 games, the Ospreys have racked up 10 or more hits. UNF has struggled to come up with the timely hit so far, hitting only .252 with runners in scoring position. Last season while the Ospreys were one of the top offenses in the country, they hit a staggering, .309 with runners on second and/or third. Senior David Trexler is the probable starter against the Cats. One of Western Carolina's basketball legends, Ronald Rogers, died Saturday at age 82. Ronald William Rogers was born on November 25, 1931 and raised in Leicester, N.C., His father, Conley Rogers, played basketball at Western Carolina Teachers College (1928-1930) and his mother, Maude was captain of the Leicester High School girls basketball team (1930), so basketball was a Rogers family passion. Ronald’s father was his high school basketball coach, while his mother kept the scorebooks and his girlfriend, Helen Penland, who he later married, was a cheerleader for the Leicester High School basketball teams. Ronald followed in his father’s footsteps, heading to Western Carolina Teachers College in the fall of 1949. At WCTC, he had an outstanding career, where he shattered many school and conference records. For three straight seasons Ronald averaged over 20 points per game. He scored in double figures for 82 consecutive games over a three-year period and held both the North State Conference and Western Carolina Teacher’s College career scoring record at the end of 1953. Ronald was the first player in the North State Conference to score back-to-back 600-point seasons. He set the conference single season scoring record, totaling 686 points and also set a four-year conference career scoring record, totaling 1,960 points. Keep in mind, his scoring record was set prior to today's three point shot and 30+ regular season game schedules. Ronald’s basketball career accomplishments landed him on many select teams. He was named All Conference, All State and the highest award, he was named to the National Association of Intercollegiate Athletics (NAIA) Helms Athletic Foundation All American team for three consecutive years, the first player so honored three times. He currently ranks third on Western's career scoring list with 1, 960 points and was the first Western Carolina basketball player to have his jersey and number (#15) retired. Ronald was a charter member inducted into the inaugural Western Carolina Athletic Hall of Fame in 1990 and was inducted into the Western North Carolina Sports Hall of fame in 1999, and inducted into the Leicester Hall of Fame in 2011. In 1954, Ronald was drafted into the Army, where he served for the next 22 months. He was initially deployed to Seoul, Korea and then was transferred to Okinawa, Japan. Ronald was chosen to be a member of the Army basketball team (Signal Core #181) and the baseball team. After serving his country, he returned to the United States and in January 1956 he married his high school sweetheart, Helen Penland. Ronald was employed by the American Enka Corporation in 1956, where he was the Athletic Director and player/coach for both he basketball and baseball Industrial League Teams. Later, he accepted a position in the Enka receiving department where he was responsible for materials used in the Nylon and Rayon Divisions. In 1986, Enka was purchased by BASF and in 1989 Ronald retired after 36 years with the company. A packed crowd of 1,121 in Hennon Stadium, a regional TV audience courtesy of WMYA-TV, as well as a national audience on ESPN3 saw Western Carolina extend the nation’s longest Division I college baseball home winning streak to 18 as the Catamounts cruised to an 18-10 win over #15 Clemson at Hennon Stadium on Tuesday afternoon. After the Tigers opened the game by scoring in the top of the first inning, the Catamounts took advantage of three Tiger errors and scored six runs in the bottom of the second. Then in the fourth inning, the Cats scored seven more runs on six hits to put the game out of reach. Catamount freshman Bryan Sammons in his first career start picked up the win, while Clemson freshman Alex Bostic also making his first career start, suffered the loss. What else can be said about today's baseball game that hasn't already been said or written? In what is probably the biggest baseball game of the season for the Catamounts for many reasons, Jack Leggett brings his Clemson Tigers to Cullowhee for the first ever live TV broadcast from Hennon Stadium. The game can be seen locally on WMYA (My 40), and nationally on ESPN3 at 4 pm. Clemson leads the series 16-10 in games played in Cullowhee, and lead the overall series 56-15. The Tigers are averaging 6.2 runs per game and are hitting .304, their pitching staff has a 3.60 ERA while the Cats have hit .304 and have a 4.22 ERa. Clemson sophomore infielder Tyler Krieger is hitting a team-best .405 with two doubles, six RBIs, 10 runs, and a .463 on-base percentage. The 15h nationally ranked Tigers are 6-4 on the season, and are just coming off a sweep by #3 South Carolina Gamecocks. With the regular season behind them, the Catamounts have their attention set on the upcoming 2014 Southern Conference Tournament at the U.S. Cellular Center in Asheville, N.C. The fifth-seed Cats (17-14, 10-6 SoCon) open in the quarterfinal round against the fourth-seed Elon Phoenix (18-13, 11-5 SoCon) at 2:30 p.m. on Saturday, March 8th 2014. The Phoenix enter the tournament on a two game losing streak, with losses to Wofford and Davidson in the final week of conference play. The Cats duplicate that losing streak with their own losses to Chattanooga and Samford during the same week. Both teams come into this game having not lived up to preseason expectations, and see the tournament as a way to redeem a disappointing season. Those hopes can only survive for one of the two senior laden teams, as one team will only add to their losing streak. Western Carolina and Elon split the two regular season meetings, with the Catamounts winning the January 4th meeting in Cullowhee, claiming a 74-60 victory, while the Phoenix picked up a 74-60 win over the Cats on Jan. 30 at Elon. At this point, I think this one is a toss-up. On the strength of 33 total runs, the Catamounts sweep the La Salle Explorers on three straight games over the weekend. Scoring a whopping 20 runs in game there, Western Carolina out hit La Salle, 21-to-13, while junior Bradley Strong and senior Aaron Attaway both hit for the cycle in game three as the Catamounts slugged past La Salle, 20-10. The the three game sweep, the Cats are 7-2 overall and are 4-0 at home this season. Tuesday's game with nationally ranked Clemson, will be televised live on WMYA-TV, My40 out of Asheville/Greenville, with a simulcast available online at ESPN3.com (subject to blackout). Air time is set for 3:30 pm for the pregame show. Another Catamount "Point of Pride"
Western Carolina captures both the men's and women's 2014 SoCon Indoor Track and Field Championships! Game 1 - (8) Georgia Southern vs. (9) Wofford, 11:00 a.m.
Game 2 - (7) Western Carolina vs. (10) UNCG, 1:30 p.m.
(1) Chattanooga vs. Game 1 winner, 12:00 p.m.
(4) Appalachian State vs. (5) Elon, 2:30 p.m.
(2) Furman vs. Game 2 winner, 4:30 p.m.
(3) Davidson vs. Samford winner, 6:45 p.m.
Semifinal 1 – 12:00 p.m.
Semifinal 2 – 2:30 p.m.
Championship Game – 5:00 p.m.
Game 1 - (8) Samford vs. (9) Appalachian State, 11:00 a.m.
Game 2 - (7) Georgia Southern vs. (10) Furman, 1:30 p.m.
Game 3 - (6) UNCG vs. (11) The Citadel, 4:00 p.m.
(1) Davidson vs. Game 1 winner, 12:00 p.m.
(4) Elon vs. (5) Western Carolina, 2:30 p.m.
(3) Wofford vs. Game 3 winner, 8:30 p.m.
Championship Game – 9:00 p.m.